This column is jointly written by @gordon_ong and @devinnath as part of the #analystsondemand series. -Devin is a trader and investor who balances FA and TA in his investment decisions. He believes in using news and FA to spot the right stocks and rely on TA to give him the lowest risk-to-reward ratio possible. CITIC Envirotech Ltd (“CEL”, “Group”) is a leading membrane-based integrated environmental solutions provider which specialises in water and wastewater treatment, water supply and recycling. It also provides solutions in sludge and hazardous waste treatment as well as river restoration. CEL undertakes both turnkey and investment projects as well as provides plant operation and maintenance services in water and environmental projects. CEL’s main shareholders are state-owned giants CITIC and China Reform Fund (“CRF”), which allow it to enjoy implicit backing for 1. local government projects, 2. sale of membranes and 3. cheaper debt financing costs. CEL’s advantage in securing projects and membrane sales due to its shareholders will be discussed later. It must be noted that CEL’s cheap debt financing rates as a subsidiary of CITIC applies to only 619k/39573k or 1.56% of its total annual interest expense as of FY16. While the benefit is currently not too pronounced, CITIC’s stature as one of China’s largest conglomerates may allow CEL to more easily secure debt financing at better rates, both from external sources or from related parties like CITIC Bank. CEL has also recently secured RMB 20m (SGD 4m) credit facilities from China Merchant Bank, owning to both its recent financial success and status as CITIC’s subsidiary. Securing financing at lower interest rates are vitally important for CEL’s project-based business model to be profitable. CEL acquired its membrane production arm, Memstar Pte Ltd in 2014. Memstar is known for its R&D centre and previously received financial support from the Singapore government. 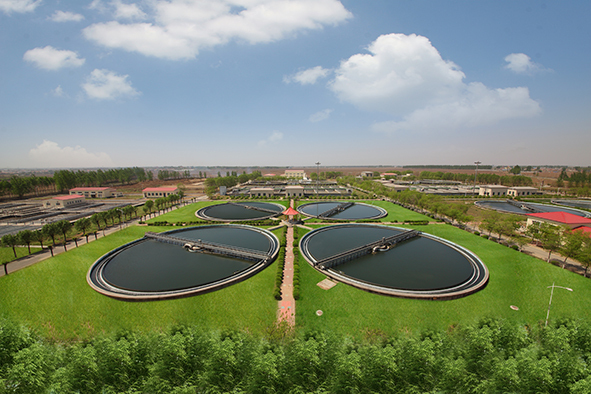 Its excellent PVDF and 3G-TIPS membranes have allowed CEL to secure an economic moat within China with respect to membrane technology and complying to government regulations regarding wastewater treatment. These are protected by IP rights. – May 18, CITIC Envirotech Secured River Restoration Project In Ningbo City, Zhejiang Province Worth RMB 3 Billion. CEL’s share is RMB 1.6B. – Mar 28, Incorporation of Baiyi Environment, a Joint Venture between CEL, Hui Sheng Fund Mgmt and Hui Yu Fund Mgmt. CEL holds 49.9% shareholdings in JV. JV will acquire 15,000m3/day TOT wastewater plant in Zhou Zhuang town. CEL’s business model consists of three main business segments: 1) Engineering Procurement and Construction (EPC) both for external projects and internal BOTs, 2) investments and operating of water treatment utilities (O&M), and 3) Design, manufacturing and use/sale of membrane products and related services. CEL’s business model is vertical integration, to capture profits from the entire value chain of wastewater treatment including construction of the plant, membrane production and operating the plant. It constructs predominantly 3 types of plants: water supply (≈5%), water recycling (≈10%) and wastewater treatment (≈80%). CEL has recently secured many new types of projects related to water treatment: its first river restoration project in Yixing, Jiangsu, its first hazardous waste treatment project in Rizhao, Shandong, its first sludge treatment and management project in Changyi Shandong, and a huge project worth 3,200m RMB involving water treatment, recycling and cogeneration plants in Chaonan, Guangdong (CEL’s share is ≈1,600m RMB). These could signify the start of multiple diversified revenue streams, especially considering the May 18 announcement that CEL has clinched another river restoration project in Ningbo, Zhejiang. CEL operates within mainland China, and has an especially heavy presence within the Hebei, Liaoning, Shandong, Guangdong and Jiangsu provinces. CEL’s established foothold in these provinces and past projects with the respective local governments suggest that it will have an easier time winning future project bids within these regions. Their past record of complying with the EPC requirements in these provinces, combined with their EPC record with China heavyweights such as Sinopec and CNPC, make them trusted by local governments. The deluge of recent order wins (see chart), including the new types of project that CEL never undertaken before (as stated earlier), all came from their traditional stronghold provinces. Their strength in these provinces align well with the current geographical concentration of water shortage in China. Interesting to note that out of CEL’s dominant 5 provinces, 4 are part of the Dry 11: Hebei, Liaoning, Shandong and Jiangsu, where each person has less than 1000m3 of water per year. In fact, some Middle Eastern countries have higher annual renewable water per capita.